In this study, we investigate how three alternative measures of maternal body mass index (BMI) relate to youth overweight. We contrast the typical cross-sectional measure of maternal BMI with a longitudinal mean and a standard deviation in maternal BMI. Using National Longitudinal Survey of Youth data, we estimate logistic regressions that relate maternal BMI to the risk of a youth being overweight while controlling for other familial characteristics. Participants in this study are 918 males and 841 females who were age 16–21 and either healthy weight or overweight in 2006. To be eligible for inclusion, teens were 15 years old by December 2006. After comparing several measures of maternal weight, we find that higher mean maternal BMI measured over the life of the adolescent has the strongest relationship with the odds of youth overweight for both male and female adolescents. For boys, a one unit increase in mother’s mean BMI increases the odds of being overweight by 16% (OR = 1.16, 95% CI 1.11–1.20) while for girls the increase in the odds of being overweight is 13% (OR = 1.13, 95% CI 1.09–1.18). Our findings suggest that researchers should move beyond static measures of maternal weight when examining the correlates of youth BMI. 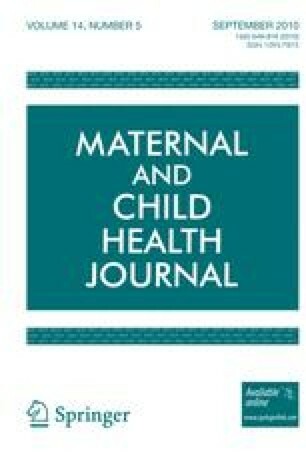 Maternal weight histories offer additional insights about the youth’s home environment that are associated with the risk of a youth being overweight. This research was supported in part by NIDDK Grant Number 1R21DK080406-01A1. Childhood Overweight. Accessed 22 May 2008, http://www.cdc.gov/HealthyYouth/overweight/index.htm.